Supermarket Retail systems are considered by many retail technology companies as to complex to support: the massive number of transactions, the speed of transactions, the manufacture coupons, the multiple tender types, the dynamic/creative discounting, the large number of customers and yes the scale integration. These are some of the challenges that retail technology companies focus on when considering developing supermarket technology, @ RDT we embrace it. 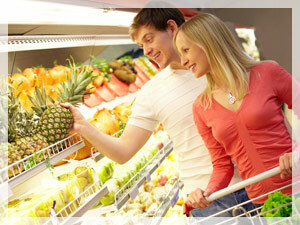 We have been developing supermarket technology since the 1990s, and we have been successful. Since 2002 RDT Systems has been providing retail technology solutions for small to medium size retailers. RDT is focused on implementing advanced technology with a competitive price/value proposition.